The Weston A. Price Foundation‘s 2012 Wise Traditions conference is now less than a week away. The final Wise Traditions speaker in the series is Dr. Deborah Gordon, MD. 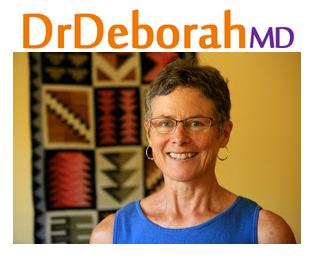 Dr. Deborah began with a career in conventional medicine, but became disappointed with a number of the ways the field functions. A big one being the lack of emphasis on nutrition. She also became heavily influenced by the Weston A. Price Foundation and the books by Gary Taubes. Dr. Deborah now practices integrative medicine and has a number of areas of focus, such as the benefits of high fat/low carb diets, obesity, and diabetes.